This is my low treatment of choice when at the gym. 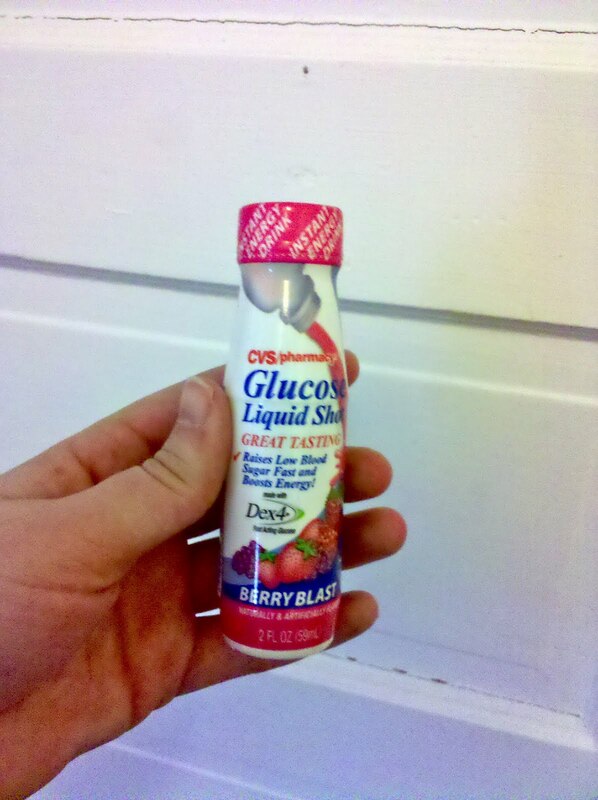 While it may take 4 or 5 gulps of a juice box, this thing is like a shot. However, can we please look at the seal? “Instant Energy Drink” Um, what? Maybe if you don’t have diabetes, but I have quite never felt instant energy from a low treatment, unless psychologically. By no means will I stop using this, especially after reading this, but the seal cracks me up. You are wrong Dex4, so wrong. Yet, it does work. Haha. I picked up some myself after reading Wil's post, and I laughed at the “instant energy.” Yeah, maybe if you don't have diabetes but I don't think anything is *instant*. Oh well. Gave me a good laugh.